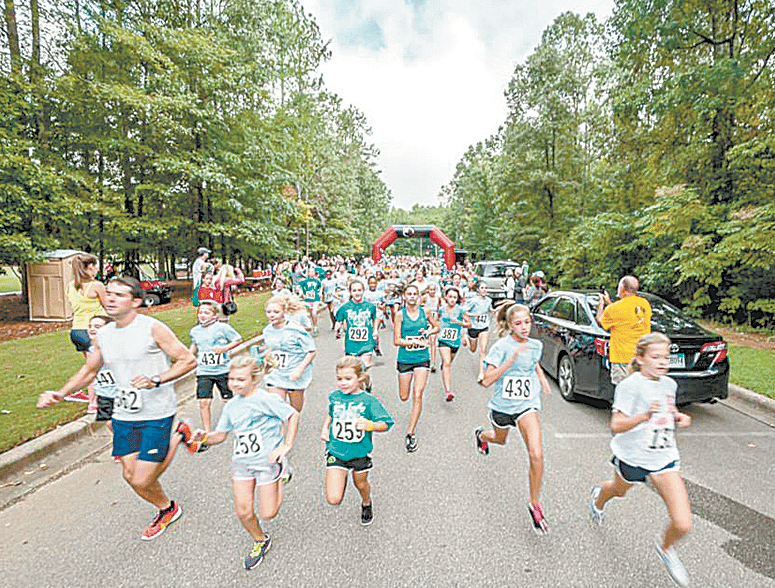 The Head Over Teal 10k/5k run and Family Fall Festival will be held this Saturday, Sept. 23. Journal photo by Lloyd Beard, courtesy of the Laura Crandall Brown Foundation. Registration begins at 7 a.m. for this 5k run/walk. The run/walk begins at 8:30 a.m. The walk is $10 for ages 6 and up, the 5k run is $20 ages 6 and up and 5 and under are free. For more information, visit fundraising.stjude.org. a dance lesson and more. Dora the Explorer and Diego will be on the scene from 10 a.m.-2 p.m. For more information, vista birminghamzoo.com. A wide variety of cold beers, German food, live music and games and activities are planned from 1-6 p.m. General admission tickets are $17.50 and include a souvenir 22 oz. beer stein and one complimentary beer. VIP tickets are $50 and include a souvenir 22 oz. beer stein, four complimentary beers, one meal voucher and a t-shirt. For more information, visit birminghamoktoberfest.com. The University of Alabama at Birmingham presents Birmingham’s annual walk to celebrate recovery from addiction from 5-9 p.m. There will be live music, food and fellowship. This event is free. For more information, visit “Birmingham Recovery Walk 2017” Facebook page.